In August of 2016, OneSpace launched its new Software as a Service (SaaS) platform, designed to bring highly efficient and flexible talent solutions to today’s leading enterprises. 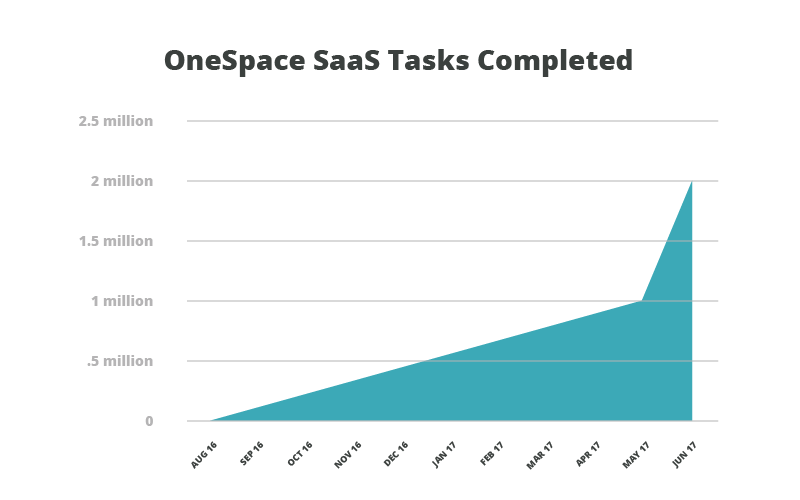 We are excited to announce that in the 10 months since the product’s release, our clients have used the OneSpace platform to complete more than 2 million tasks. Even more impressive, half of those tasks were completed within the last month, demonstrating increased client demand and product fluency. OneSpace’s platform helps businesses streamline and manage a multi-channel workforce in order to complete high-volume projects quickly and accurately. Key platform features include a virtual workspace for team collaboration, performance management and productivity analytics, and access to a qualified, on-demand workforce. 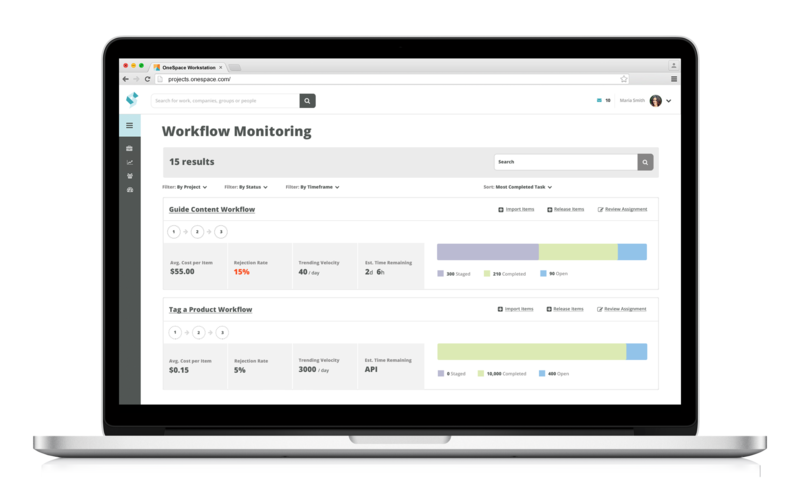 Clients create projects using customizable workflow templates, and teams can log in to complete tasks anywhere, any time. A structured review process ensures quality at each step. The types of tasks completed on the platform range from copywriting and categorization to transcription and translation. 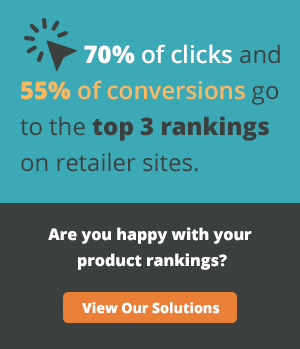 Clients can leverage OneSpace’s on-demand workforce to produce content at scale, including articles, product descriptions, and buyers guides, or to collect and analyze data in order to drive business growth. 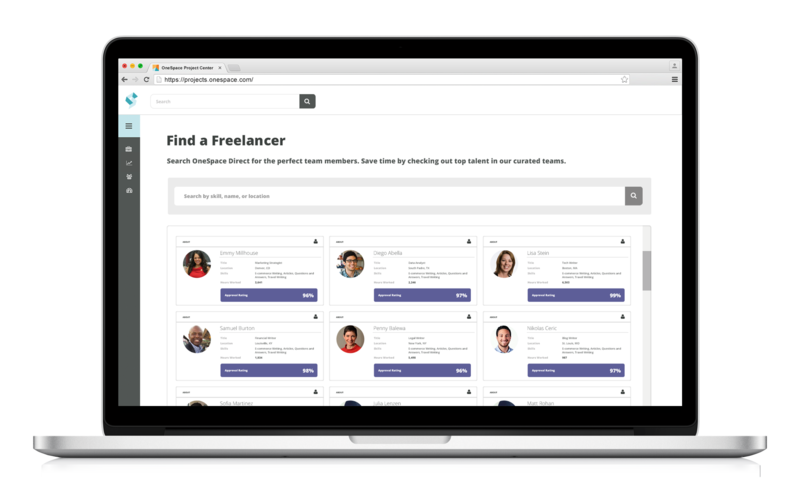 OneSpace’s network comprises more than 100,000 freelancers who must pass in-depth skill assessments and performance audits. In addition to its efficient SaaS platform, a firm commitment to outstanding service and innovation has positioned OneSpace as an industry expert in providing game-changing workforce solutions for leading enterprises. As we celebrate this significant milestone, we remain focused on client satisfaction while helping drive the businesses forward.